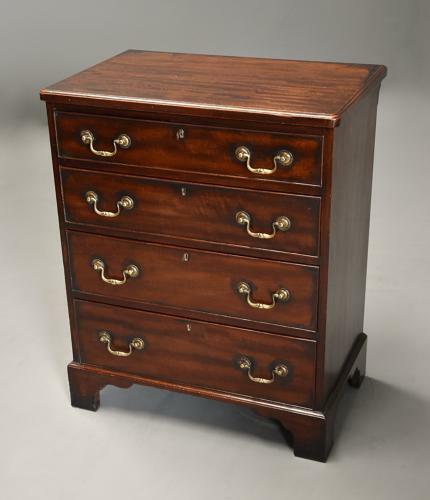 This chest of drawers consists of a solid mahogany top with caddy moulding to the edge. This leads down to four graduated cockbeaded drawers with original brass swan neck handles and original locks, all pine lined and with fine dovetail joints. The sides are mahogany and the chest is supported by four bracket feet. This chest of drawers is in excellent condition for age, is of stable construction and can go straight into a home.